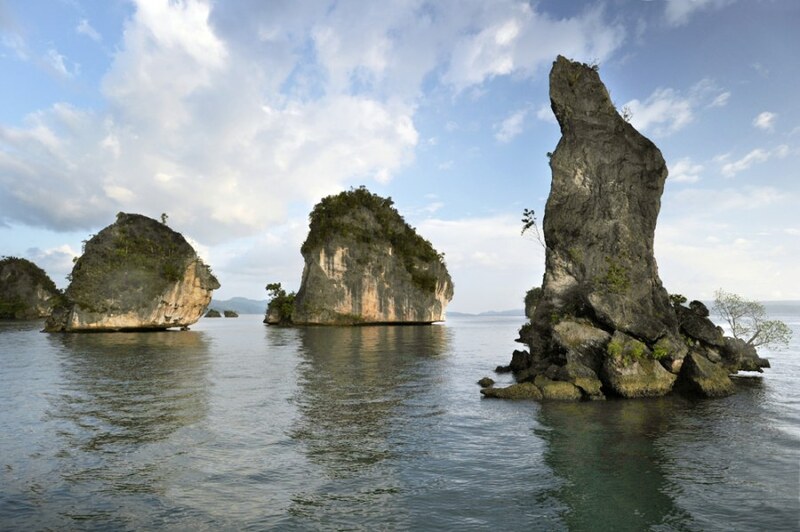 Rock formations are seen in Kabui Bay in Raja Ampat located in eastern Indonesia's Papua region. 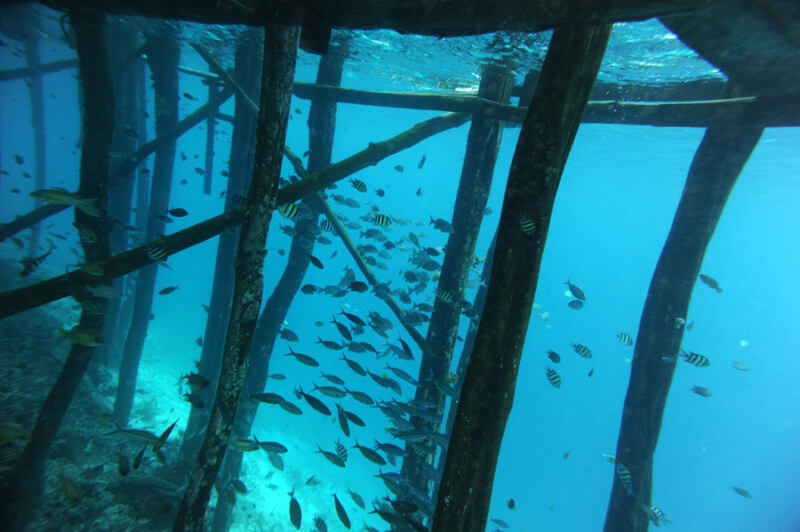 School of fish swims under the wharf of Raja Ampat's Mansuar Island located in eastern Indonesia's Papua region. 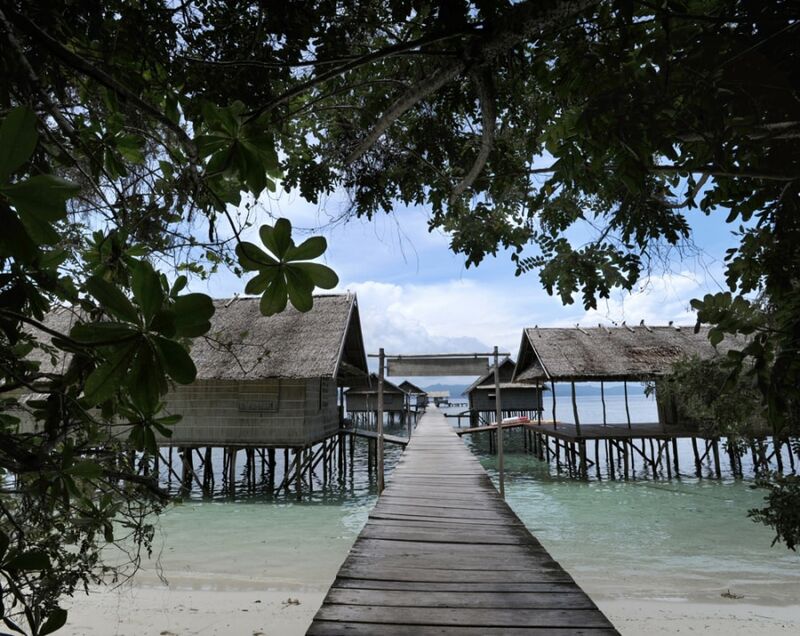 Cottages are built over the water at Kri Island private resort in Raja Ampat. 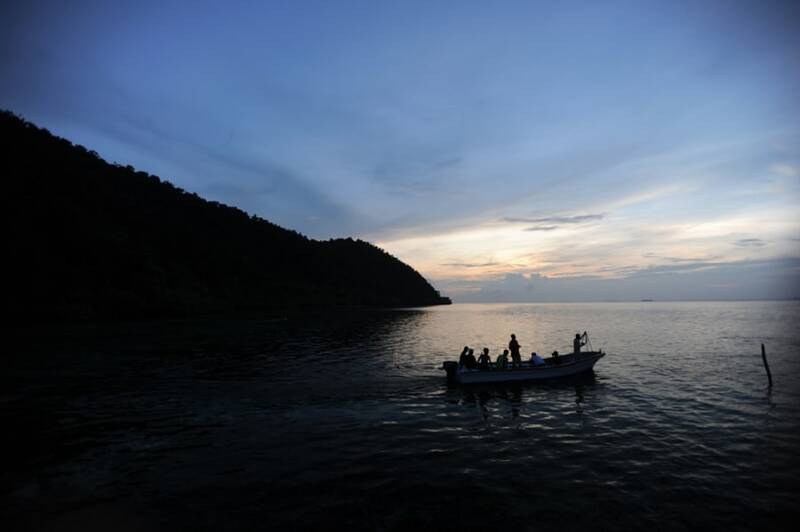 Tourists ride a boat in Raja Ampat's Mansuar Island. Called the last paradise on earth, Raja Ampat archipelago was nominated as World Heritage Site of UNESCO with its largely pristine environment considered as one of the most important marine biodiversity in the world. I hope this place will make it on to the list, so it will be preserved for the future generations. To learn more about the selection process check out the UNESCO World Heritage site for more info. Also, see our World Heritage sites slideshow for more images.